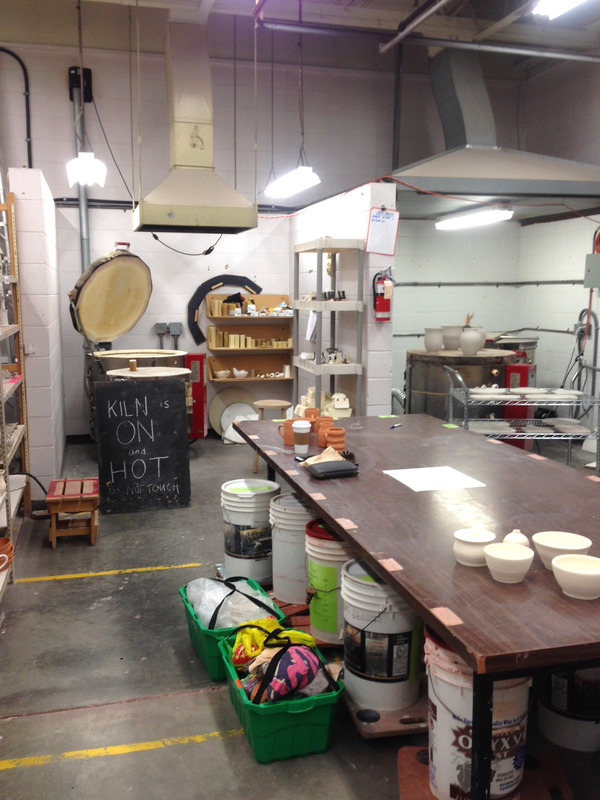 This area suits a variety of uses, including regular activity from clay studio users who are members of the Arts Council of the North Okanagan. 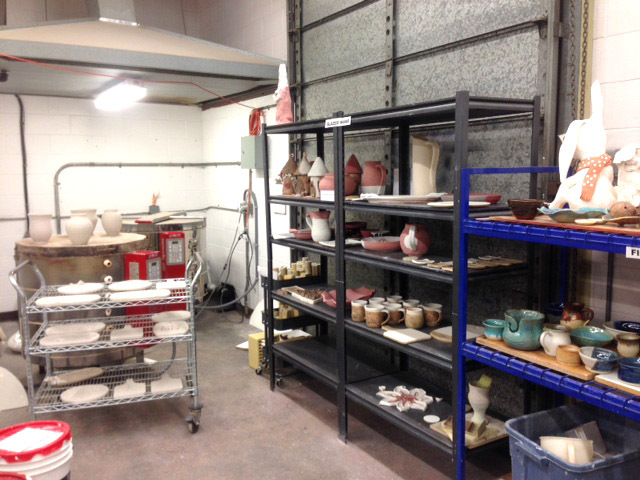 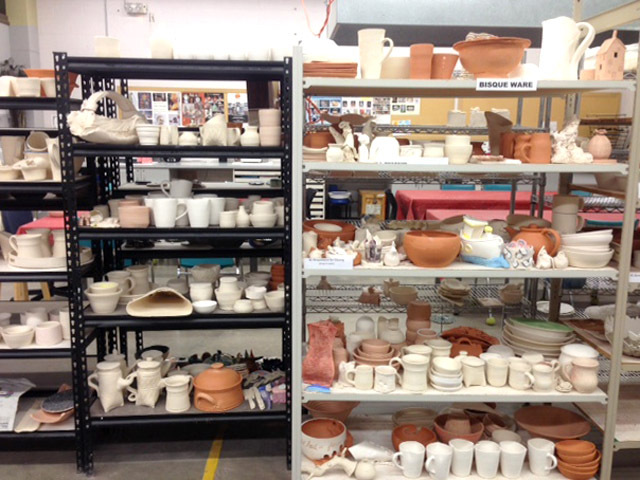 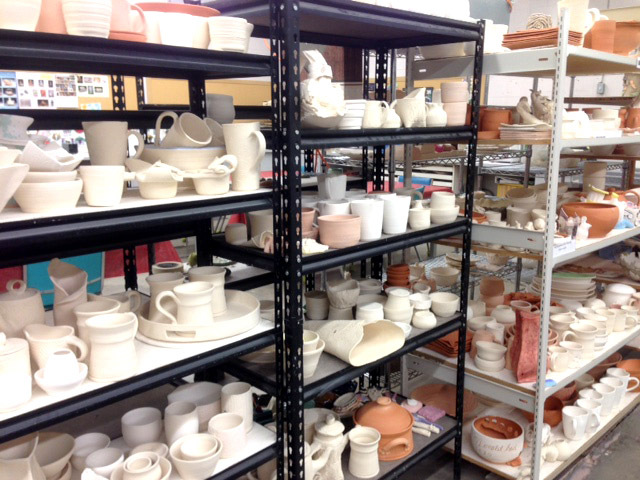 We have 3 kilns – a bisque kiln, glaze kiln firing to cone 6, and a new glass fusing kiln. 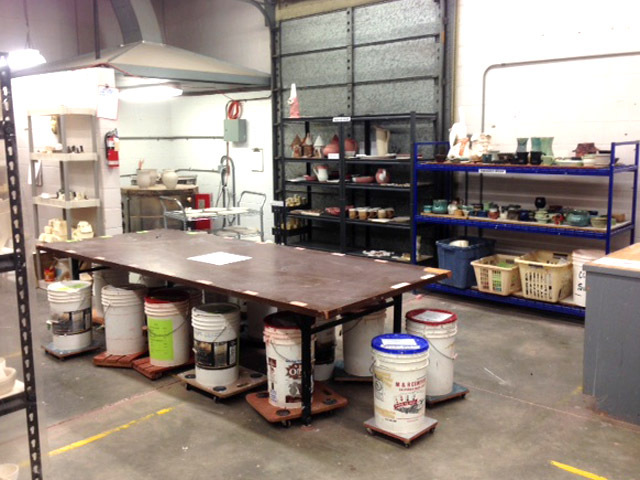 We also have a spray booth, and a set of studio glazes.